Welcome to Part 4 in out tote bag series! This week is a lot of fun because we get to see our bags really come together. All of these tutorial posts are pretty long, and this is no exception. To keep it a bit more manageable, I have added a section to this site for Tips and Techniques, and I will be linking to topics within that category throughout this post. The addition of this section will also make basic techniques more easily accessible as a reference. As always, please contact me with any questions. You may email me or leave a comment, and I will do my best to give you a clear answer! Pull out all of the beautifully cut tote bag pieces from last week and locate the canvas pieces and the bag top and bottom exterior fabric pieces. Flatline the canvas pieces to the outer fabric pieces. 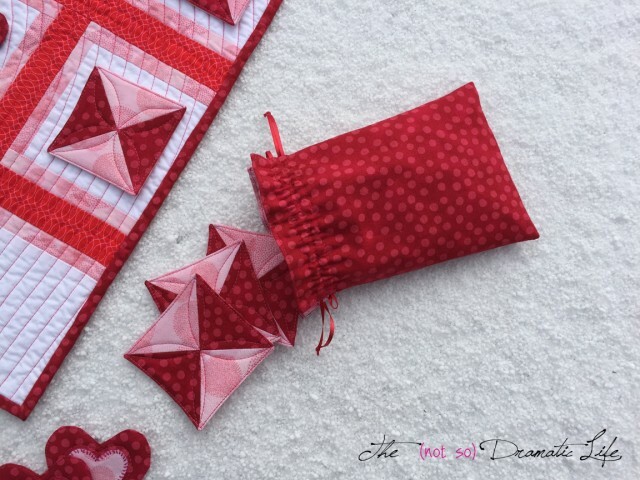 For this project you will want to finish the edges of the pieces as described in the flatlining tutorial. In a few steps, we will need to see the precise placement of the bag handles on the exterior of the bag. To achieve this, we need to Thread Trace the bag placement lines. Next we are going to prepare the pockets to be attached to the bag. The pocket sides will be incased by the bag handles, and the pocket bottom will become a part of the seam attaching the bag top to the bag bottom. That just leaves us the top of each pocket to deal with right now. 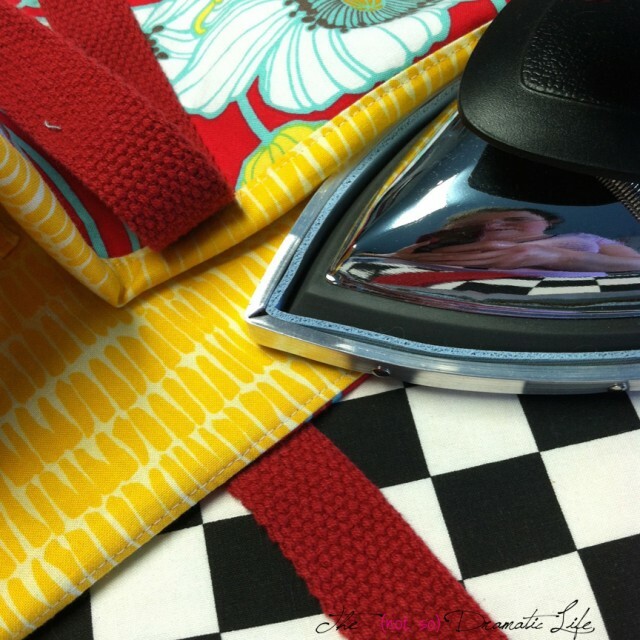 Find the exterior (with interfacing attached) and lining pieces for the rectangular pocket. Place the pieces right sides together and pin and stitch along the top line. Grade the seam allowance before turning the pocket right side out. Carefully press the seam allowance toward the lining fabric. Understitch the seam allowance to the lining fabric. Lay the pocket out flat and give it a final press. 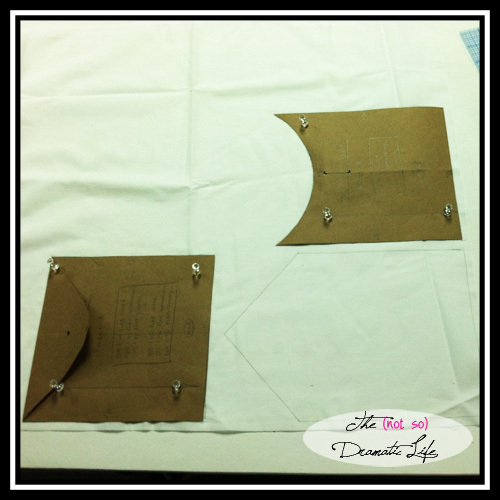 Find the exterior (with interfacing attached) and lining pieces for the pocket with flap. Place the pieces right sides together and pin and stitch along the flap edge, pivoting with the needle down at any corners. Notch and grade the seam allowance before turning the pocket right side out. Lay the pocket out flat and give it a final press. Under-stitching is really difficult on seams of this shape, so careful pressing is essential. Find the exterior (with interfacing attached) and lining pieces for the curved top pocket. Place the pieces right sides together and pin and stitch along the curved line. Clip and grade the seam allowance before turning the pocket right side out. Carefully press the seam allowance toward the lining fabric. Under-stitch the seam allowance to the lining fabric. Lay the pocket out flat and give it a final press. There are button closures on two pockets which require a buttonhole on both the curved pocket and the pocket with a flap. Pull out the buttons you plan to use for these pockets. Determine the size of the button hole by measuring the thickness of the button and adding it to the diameter of the button. You will always want to make a test buttonhole on a scrap of the fabric you are using for the project. Follow the buttonhole directions for your sewing machine, cut open the sample hole and test the size by moving the button through the opening. If it is too loose or too tight, adjust the size and make another test buttonhole. Once you know the size of the buttonhole, determine where you would like it to be placed on the pocket. 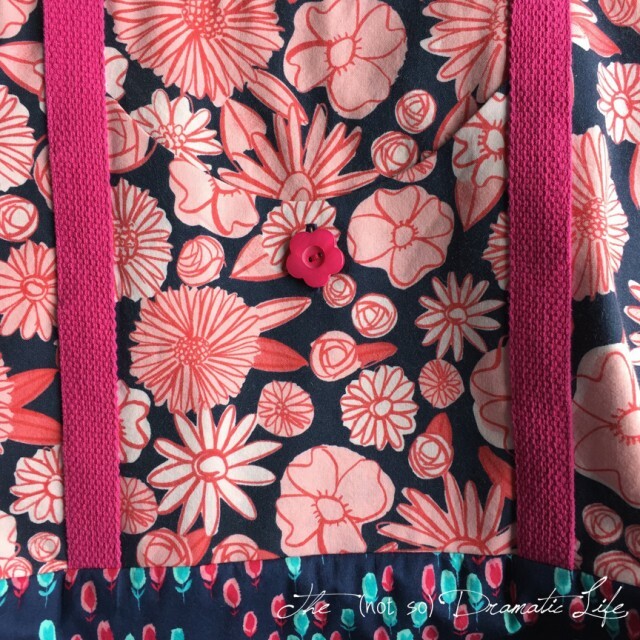 I usually use a center placement since I like symmetrical pockets, but an asymmetrical pocket may look better with a different buttonhole placement. Mark your buttonholes on the pockets using a fabric pencil or pin that will disappear over time or with washing. Make the buttonholes and cut them open. Take out one piece of the bag top and the curved pocket. Place the bag top piece right side up. Place the pocket between the handle placement lines. The bottom of the pocket should line up with the bottom edge of the bag top piece. The sides of the pocket should extend about 1/2″ into each handle placement lines. Baste the pockets into place either by hand or machine. The basting stitches should fall at the edges of the pocket, well within the handle placement lines. For the other side of the bag you will need the bag top piece as well as the rectangular pocket and the pocket with flap. Place the bag top piece right side up. Lay the pocket with flap lining side up between the handle placement lines. On top of the pocket with flap, place the rectangular pocket exterior side up. Make sure to line up the pockets with the bottom edge of the bag top and between the handle placement lines. Baste in place, just as you did with the curved pocket. You will notice that you have actually created two pockets on this side of the bag. The front pocket will be covered with the button flap. Behind the flap layer is a pocket with an open top. Now we are going to assemble the side seams. Place the bag tops right sides together, making sure the top of the pieces are going the same direction. Pin and stitch the side seams on the stitching lines. Press the side seams open. For the bag bottom, fold the piece in half lengthwise with the right sides together (when folded, it should look like the pattern piece). Pin and stitch both side seams. Press open the seams. 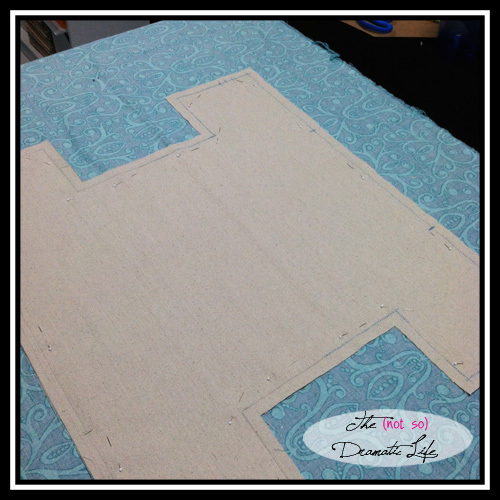 Pin the shaping seam for the bag bottom. The side seam should match up with the center of the bag bottom. Pin and stitch on the line. Place the pieces for the bag lining right sides together. Pin and stitch the side seams on the stitching lines, finish the raw edges, then press the seams open. 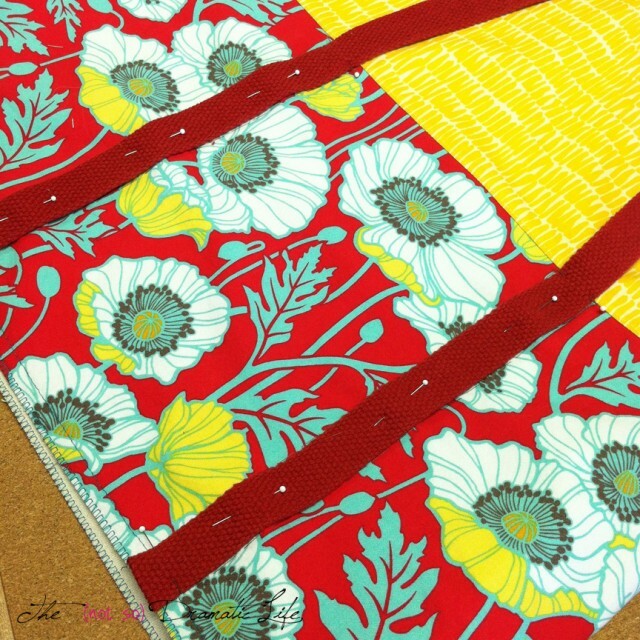 You will also want to pin and stitch the bottom of the bag, leaving several inches in the center of the seam open. This opening is what you will use to turn the finished bag right side out, so don’t try to make it too small. Pin and stitch the shaping seams of the bag lining. When lining this seam up, the side seam will match up to the bottom seam. With right sides together, pin and stitch the top of the bag top to the top of the bag lining. Since this is a circular seam, you will want to match the side seams up to start with. Grade the seam allowance and press it toward the lining. Understitch the seam allowance to the lining of the bag. Situate the bag so the right side of the bag upper is readily accessible and the lining is pulled out away from the bag top. We are now going to position the bag handles. Before cutting the webbing, estimate the length you think you will need and pin it roughly in place. Check the length and when you are happy, mark the length, unpin it, and cut two sections of webbing exactly the length. Starting at the each end of the webbing, pin the webbing carefully in place between the handle placement thread tracing lines. Double check that the handles didn’t get twisted in the pinning process. Stitch up one side of the handle, across the top of the webbing (just before you reach the top of the bag where it joins the lining) and back down the other side of the webbing. 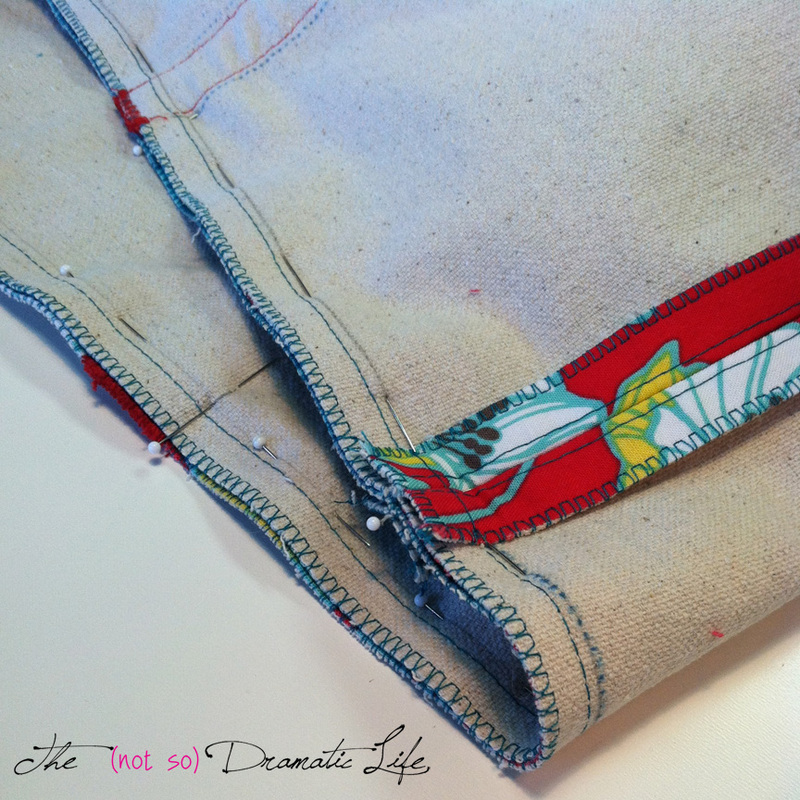 Make sure you have the lining out of the way, so it doesn’t get caught up in the handle stitching. Repeat this process for each section of handle. With right sides together, pin and stitch the bag bottom to the bag top. Hint: I turn the bag bottom right side out, the bag top wrong side out, and slip the bag bottom inside the bag top. Clip the bag top seam allowance just outside the bag handles. Press the bag top to bag bottom seam open at the bag sides and down at the pocket and handle sections. Turn the bag right side out and press the lining toward the inside at the top edge. You are almost there- Next week we’ll be finishing up! I am linking this post up with WIP Wednesday at Freshly Pieced. Please look in to see what everyone is working on! The last few weeks I have done mini quilts that were (for the most part) carefully planned before I ever started cutting fabric. This week I thought it would be a fun change of pace to do a small improvisational mini with fabric pulled entirely from my scrap bin. I started with two left over half square triangle blocks which a sewed together to form three sections including this larger hourglass block. This smaller hourglass block and oblong shape also came from the original block. The rest of the mini was formed by adding pieces from the scrap bin, trimming, and adding more pieces. Even the backing and binding were created by piecing together scraps. 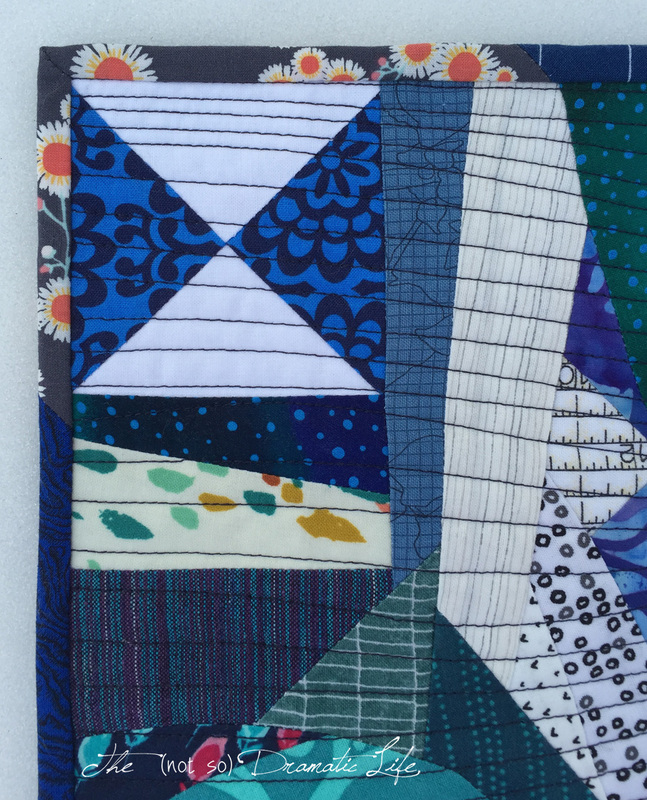 For the quilting, I continued the improvisational theme with wavy lines moving across the quilt. Thread: Pieced with white Gutermann Mara 100. Quilted with navy cotton machine quilting thread. 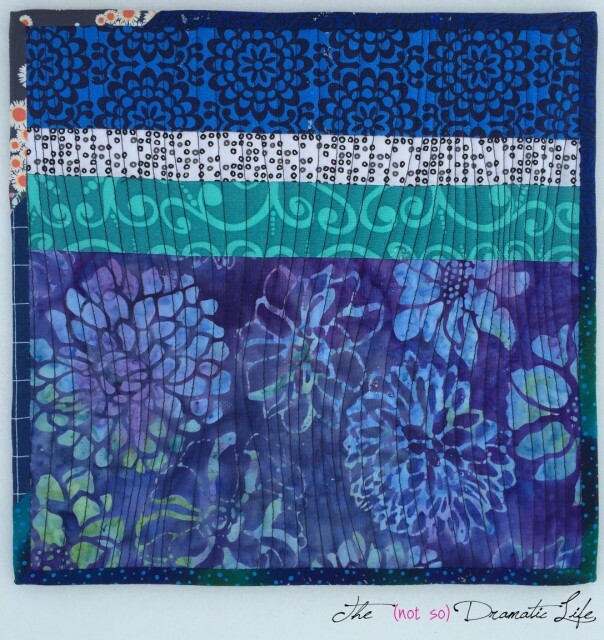 I am linking this quilt up with Oh Scrap! at Quilting is More Fun Than Housework, Finish it Up Friday at Crazy Mom Quilts, Whoop Whoop Friday at Confessions of a Fabric Addict, Scraptastic Tuesday at She Can Quilt, Sew Cute Tuesday at Blossom Heart Quilts, Let’s Bee Social at Sew Fresh Quilts, Needle and Thread Thursday at My Quilt Infatuation, and Show off Saturday at Sew Can She. Welcome to Part 3 in out tote bag series! Today we are cutting out the pieces. This is another super long post, but I hope that it explains the steps pretty well. As always, please contact me with any questions. You may email me or leave a comment, and I will do my best to give you a clear answer! 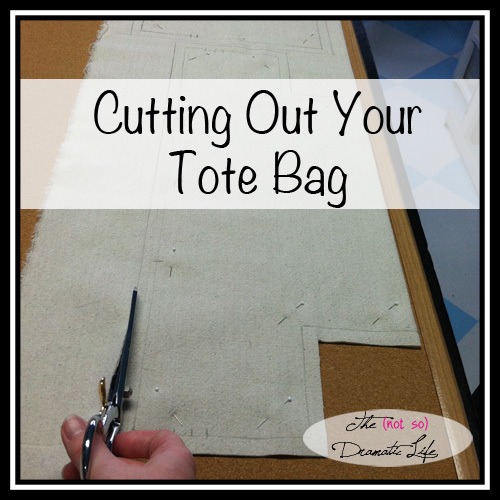 Now that you have drafted a really awesome pattern for your tote bag (see Tote Bag Tutorial Part 2), we are ready to turn our attention to the cutting of the fabric. 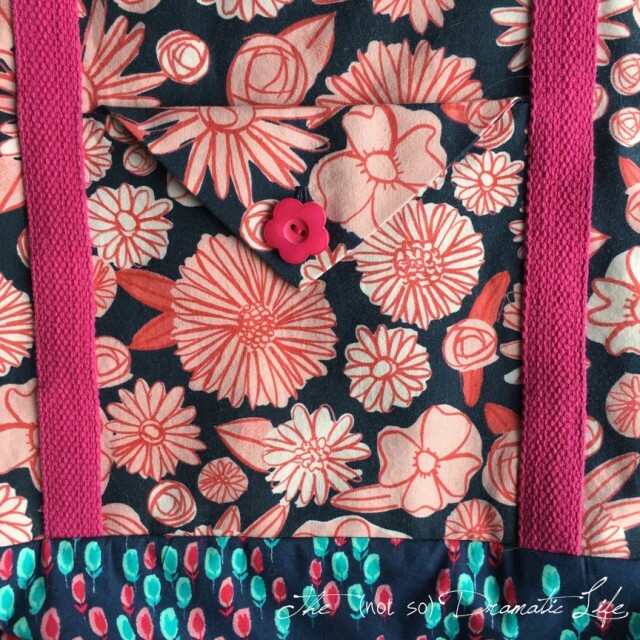 I always enjoy choosing pretty cotton fabrics to use for the outer fabric and lining, but you can use almost any non-stretchy fabric for this project. The canvas used in this project will never be seen, so you can purchase fabric for this from a fabric store or use a good quality canvas drop cloth from a hardware store. 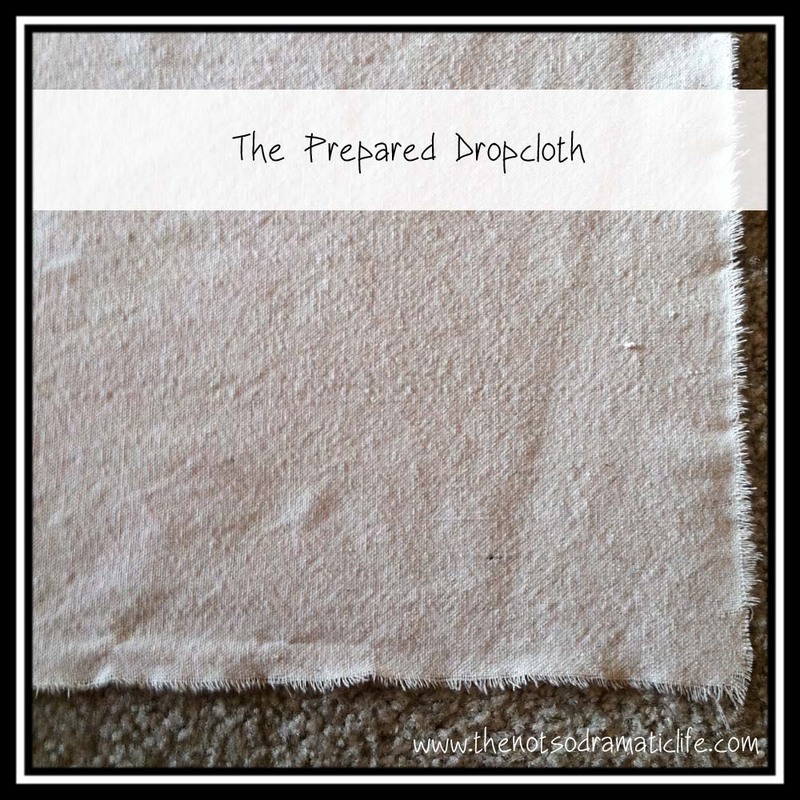 If you use this option, please make sure you read this tutorial on prepping a canvas drop cloth I published recently. Since you will be carrying this bag a lot, I’m sure you will want it to be very washable. It is really important to prewash all your fabrics in the warmest water you ever plan to wash the finished product in. A note on cutting surfaces: On this type of project, I usually cut on a surface of painted, muslin covered Homasote. 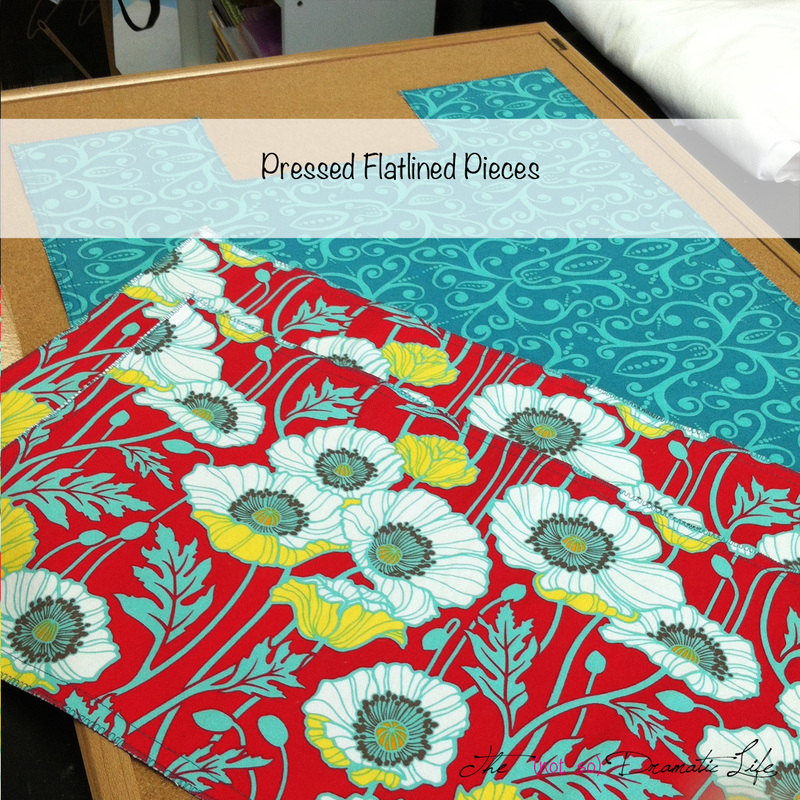 This surface allows me to use pushpins to hold down my pattern pieces. 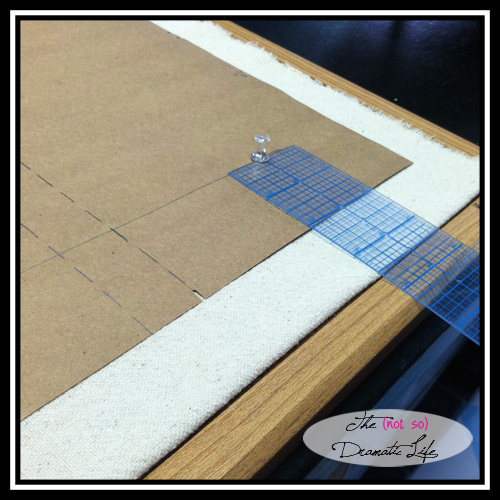 Since this project is relatively small, a large cork board laid flat on your work surface will serve the same purpose. 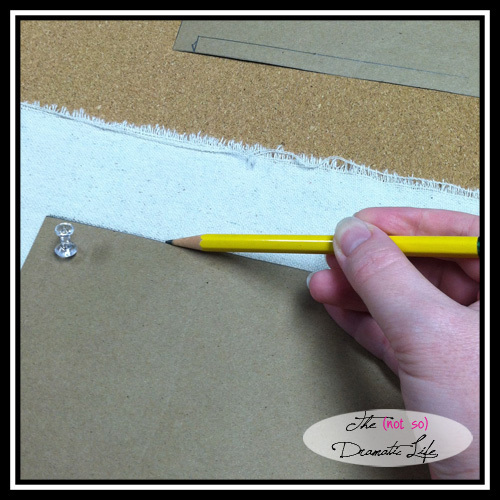 (See photo above) Another alternative is to use your regular table, and instead of pushpins, use pattern weights or straight pins to hold the paper pattern in place. Let’s start by cutting the canvas flat lining pieces. 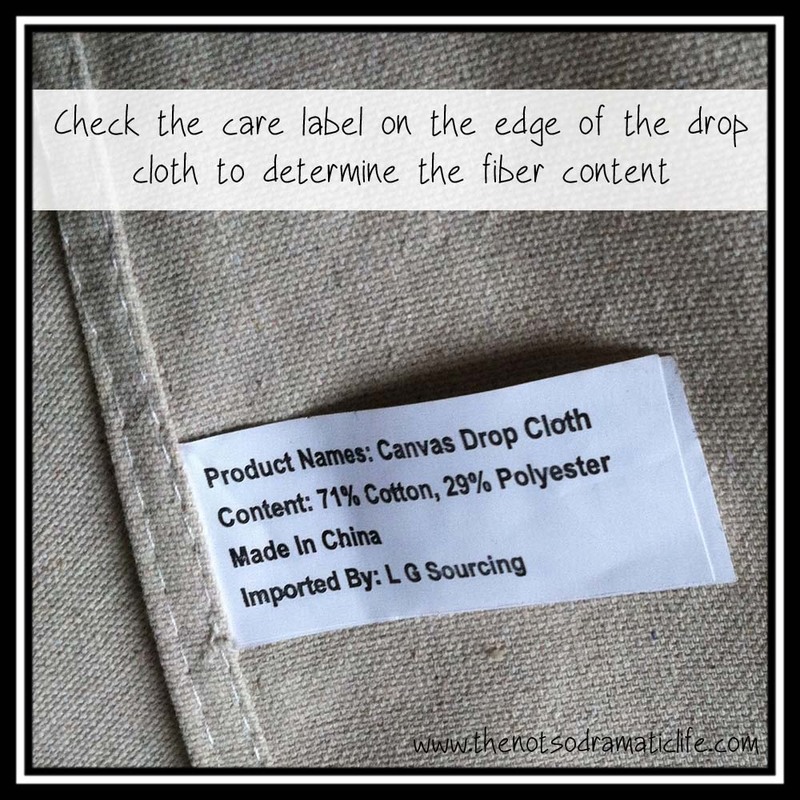 If you are using a canvas drop cloth, rip off a piece a few inches larger than double the size of your upper bag and lower bag pieces. 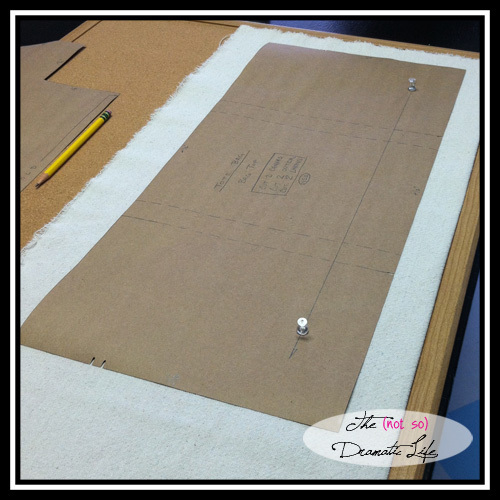 If you drafted your pattern using the same measurements that I did for the large bag, you will need a piece of canvas approximately 48″x25″. Press this section of Canvas as well as your other fabrics. 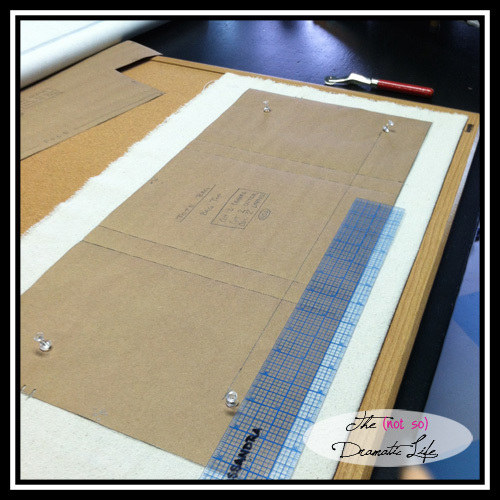 Fold your piece of canvas in half lengthwise. This will allow you to cut the bag bottom on the fold of the fabric and both pieces of the bag top in one go. We are going to start with the Upper Bag pattern piece. 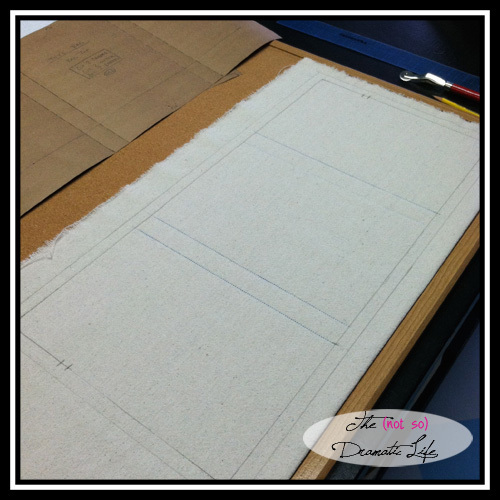 Place it about 1″ away from the end of the end of the canvas with the longer edge of the pattern piece toward the fold. The goal in placing this pattern piece is to have the grainline on the pattern piece run parallel to the fold of the fabric. To make this as accurate as possible, you will want to place one pushpin in one end of the grainline. 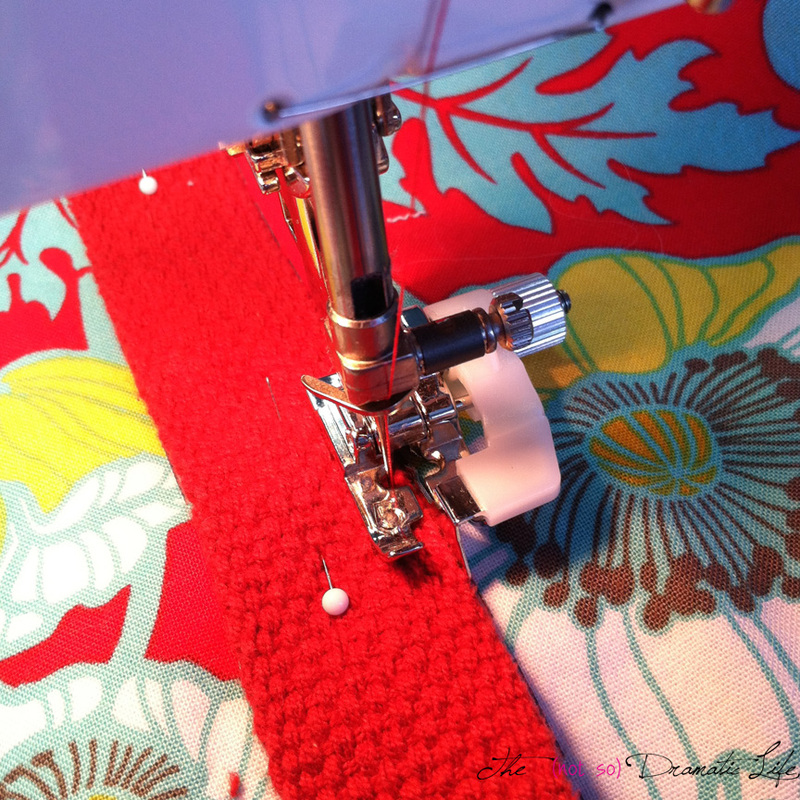 Using a ruler measure from the metal shaft of the pushpin to the fold of the fabric. Remember or write down this measurement. Using the pushpin as a pivot point, gently rotate the paper pattern piece until the other end of the grainline is the same distance to the edge of the fabric as the first. Then place a pushpin in this end of the grainline. 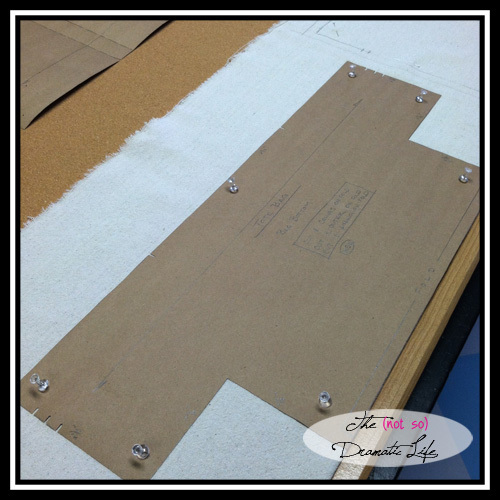 Making sure the pattern piece is laying completely flat, use push pins to hold down the edges of the pattern piece. Holding your pencil at an angle (see picture below), trace around the edges of your pattern. This line will be your stitching line. Now you will trace the handle placement lines onto the canvas. 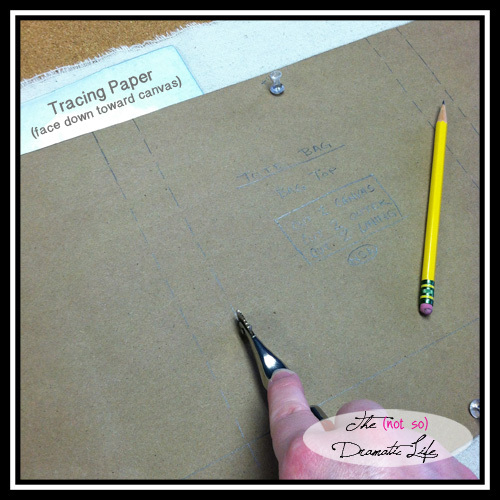 The easiest way to do this is to bring out your sheet of tracing paper. Pull the pushpins from one half of the pattern and slide the tracing paper (face down) between the pattern and the canvas. Use your tracing wheel to transfer the lines to the canvas. Pin this half of the pattern back down and repeat the process with the handle markings on the other half of the pattern. At this point you are going to add seam allowances. 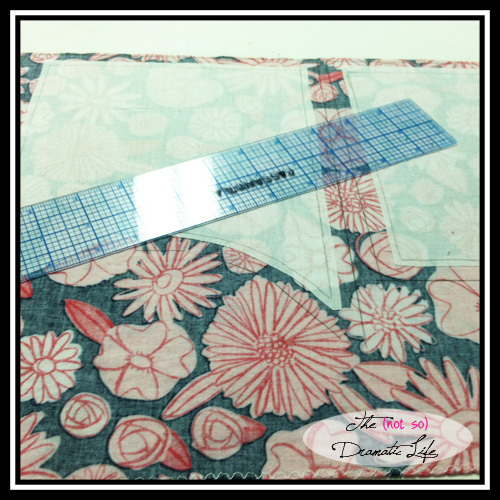 Using a gridded ruler or quilting ruler, measure 1/2″ away from the pattern edge. 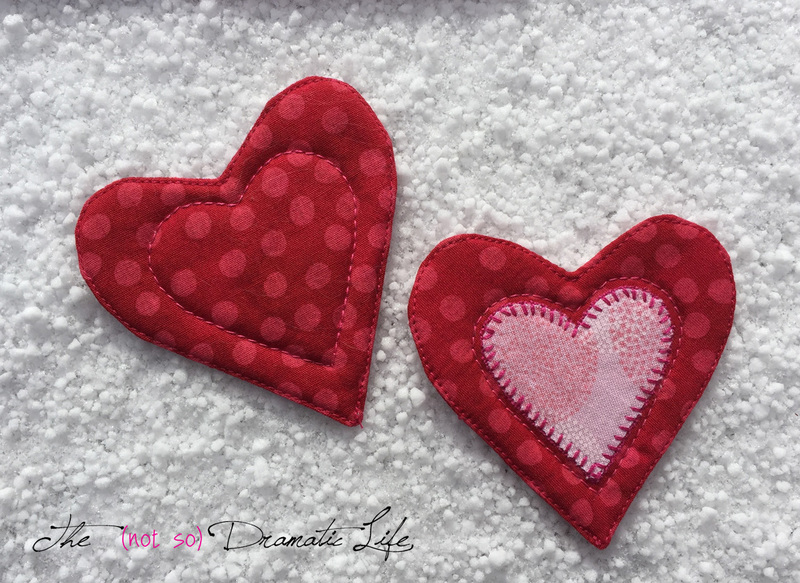 The directions for this tutorial are based on the idea that you will be using stitching lines. 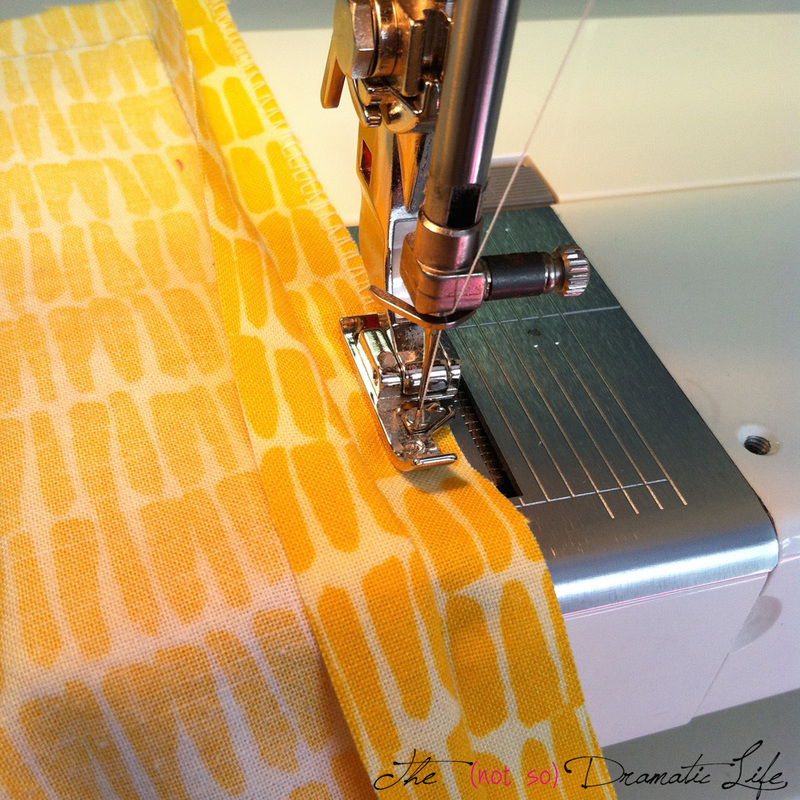 Are you more comfortable using the seam gauge lines on your sewing machine? No problem! You can add the seam allowance you are most confident using (at least 1/2″) to the paper pattern piece itself to trace around. 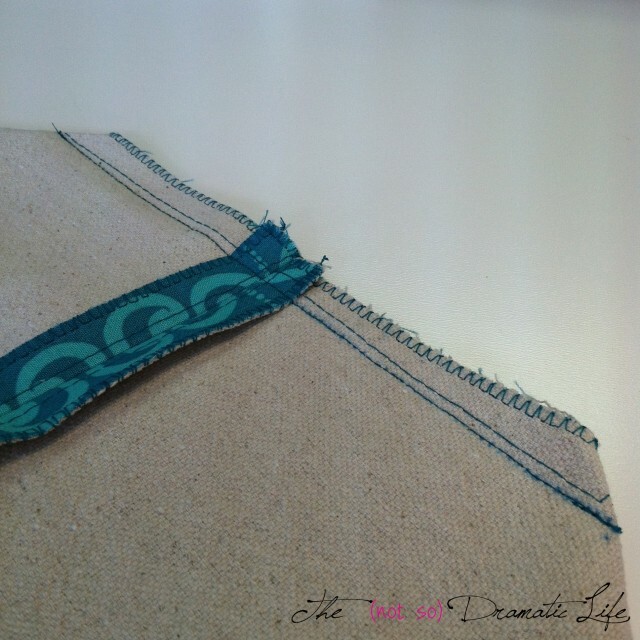 You could also add the seam allowance while cutting the fabric, but skip the step of drawing the stitching line. With the bag top all traced out, you are ready to trace the bag bottom. 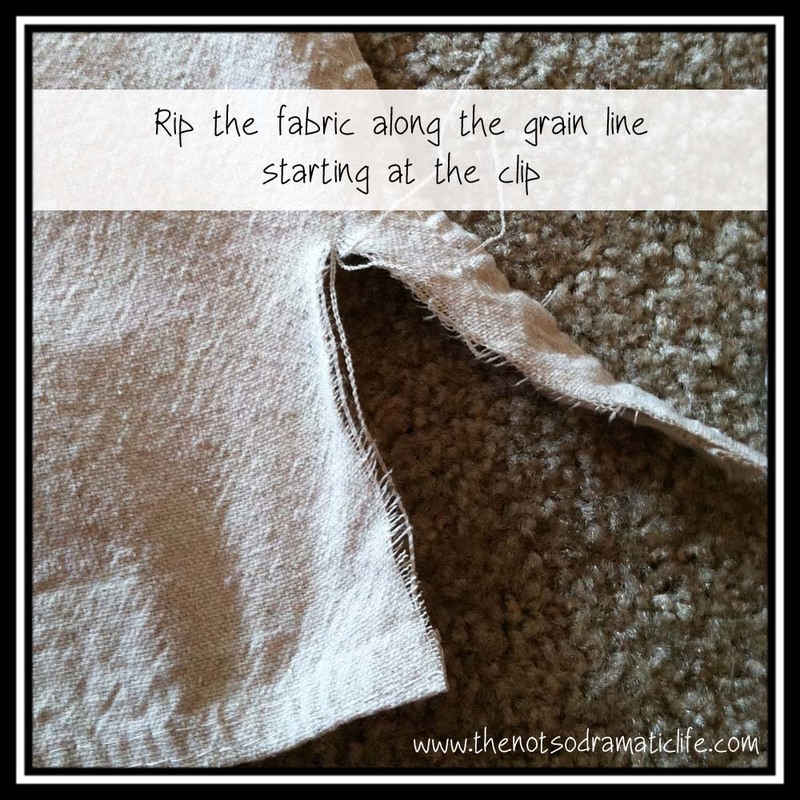 This time, instead of placing the pattern piece using a grain line, you will place the pattern piece with the bottom edge placed on the fold of the fabric. Make sure it lines up really neatly! Stick in enough push pins to hold the pattern piece really flat. 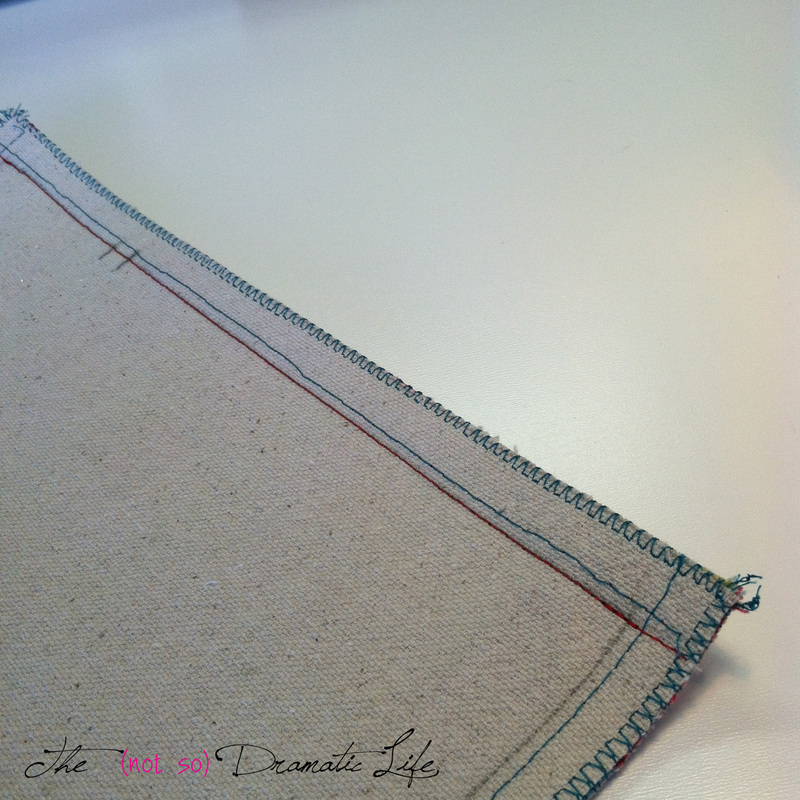 Trace the stitching lines and add the seam allowances to give yourself a cutting line. 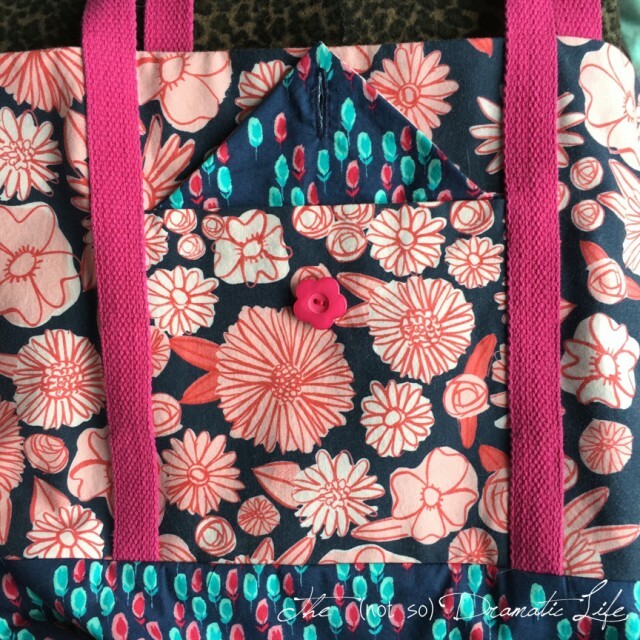 Go ahead and remove the push pins and the pattern pieces for both the bag top and bag bottom. 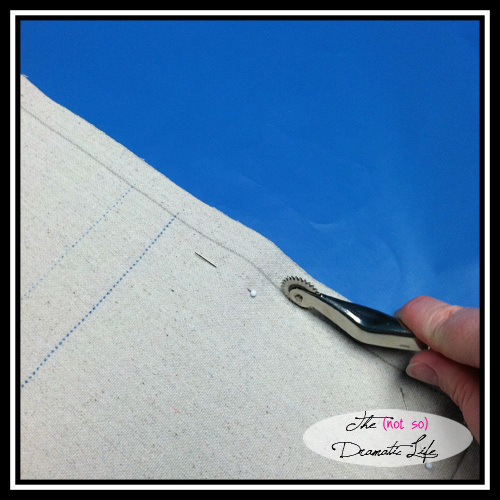 Use straight pins to pin the two layers of fabric together- we don’t want anything to move around as we cut! 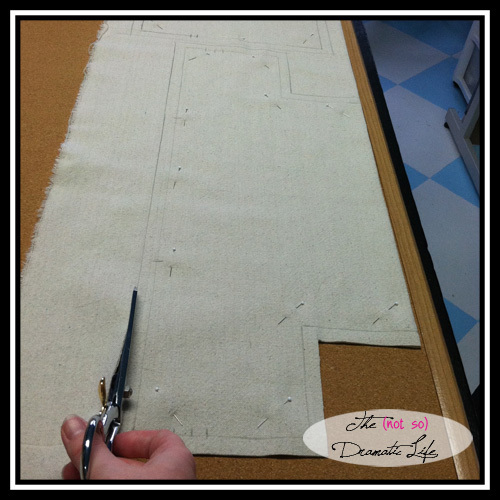 Using your nice, sharp, fabric shears cut along the cutting line (outermost line) of each pattern piece. To transfer the stitching and handle placement lines onto the reverse side, place your tracing paper right side up and lay your fabric pieces on top of it. Use your tracing wheel to transfer the lines. 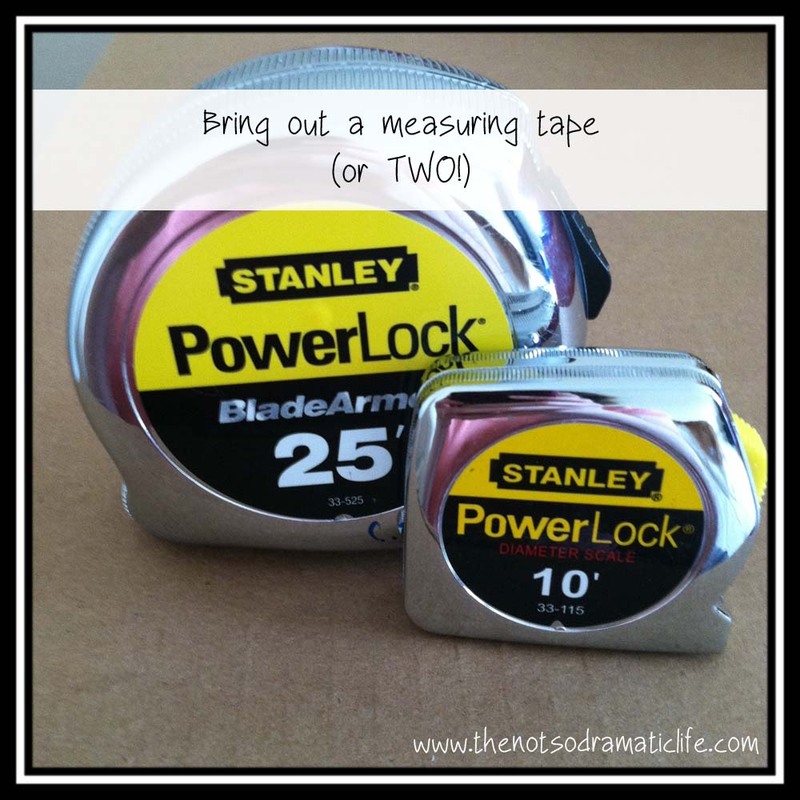 You can use a ruler if you want help keeping your lines straight. Yeah! All of the canvas is cut! Go ahead and remove all those straight pins. The canvas adds structure to the main part of the bag. Interfacing will add structure to the pockets. 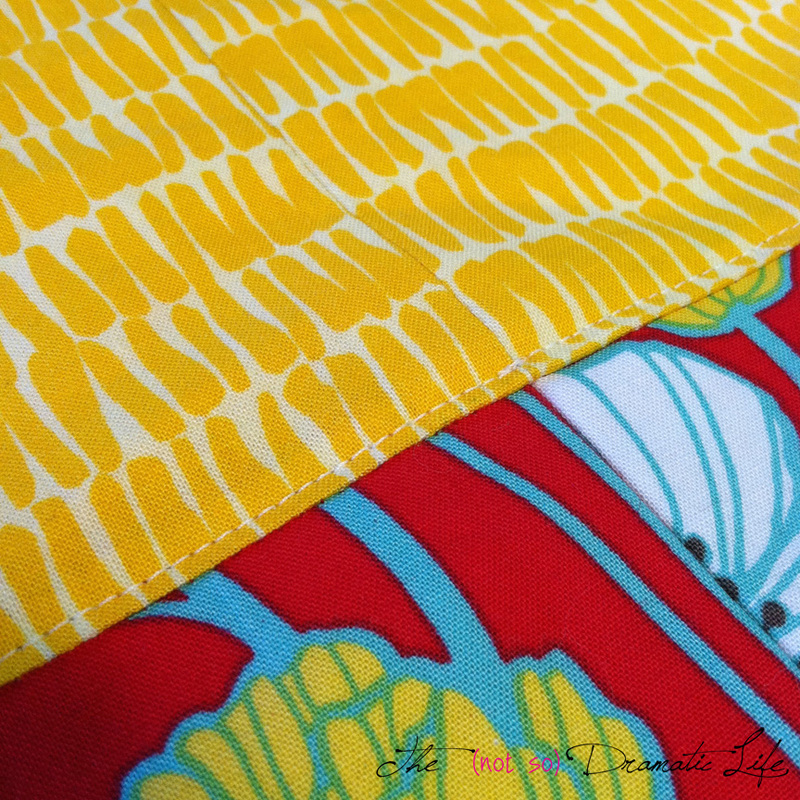 I usually use Pellon Shape Flex woven interfacing. This is an iron-on interfacing, so pressing before cutting is out of the question. Lay out these pattern pieces using the grain lines to indicate placement. You will cut one piece for the curved pocket, and one piece of the house-shaped pocket with flap. Once the pocket with flap is traced, remove the pattern piece, fold the flap down to get it out of the way, and trace the rectangle that remains. 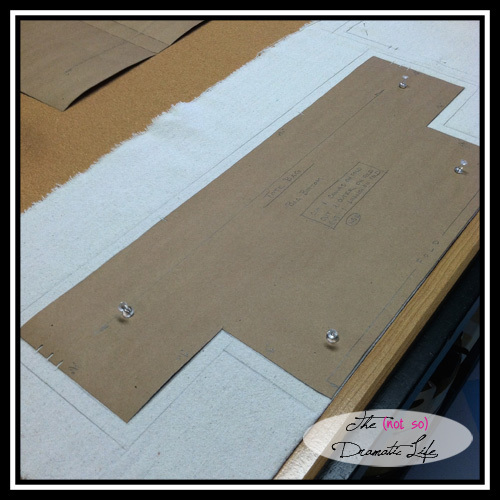 Add 1/4″ seam allowance to the interfacing pieces. 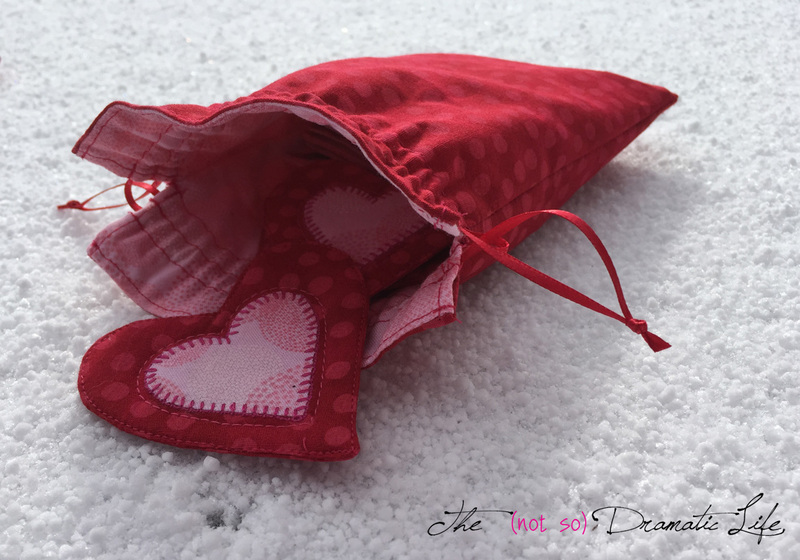 The main fabric pocket pieces will have the larger half inch seam allowances, but smaller seam allowances in the interfacing allow us to reduce bulk. 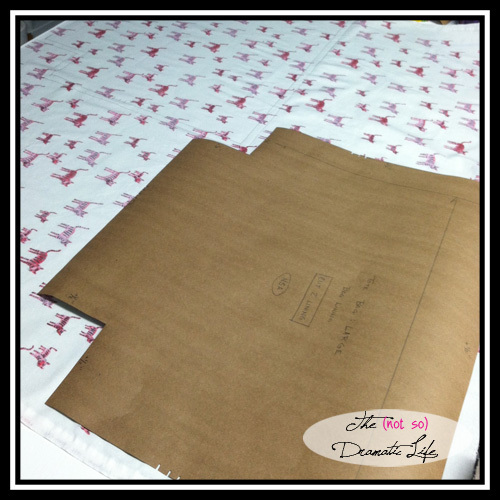 Now we get to cut out our pretty fabrics! You will probably notice several different fabrics in these steps. I seem to have forgotten to take all of my process photos for one bag, so you will get a peak at several different totes! 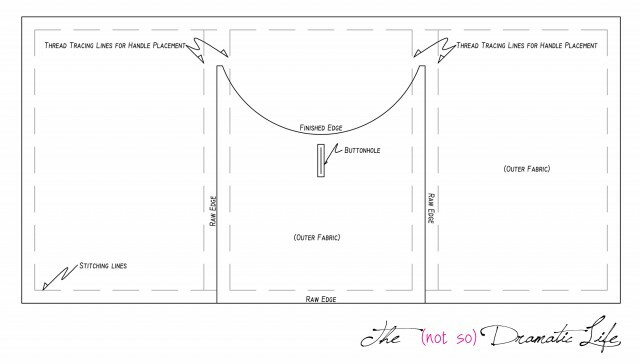 If you have directional prints, make sure you have them in their correct orientation as you begin the cutting process. 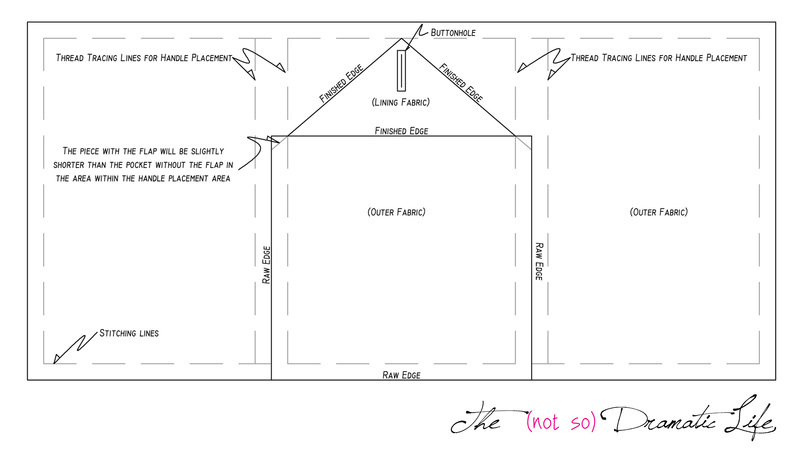 You don’t want to have anything upside down- unless that is a design decision! 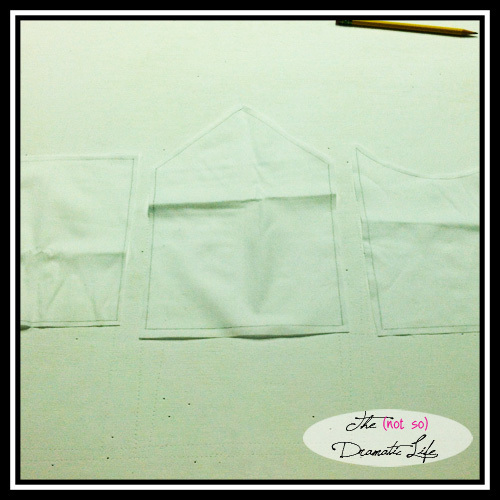 Lay out the outer fabric for the upper bag in a single layer with the wrong side up. Now place the cut canvas pieces on the fabric. I usually eyeball the grainline for the outer fabric, but you can measure to the edge of the fabric using a stitching line as a grainline if you would like. 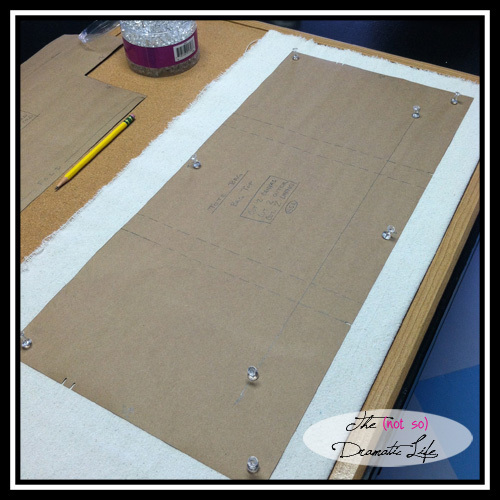 Use straight pins to pin the canvas pieces to the outer fabric. 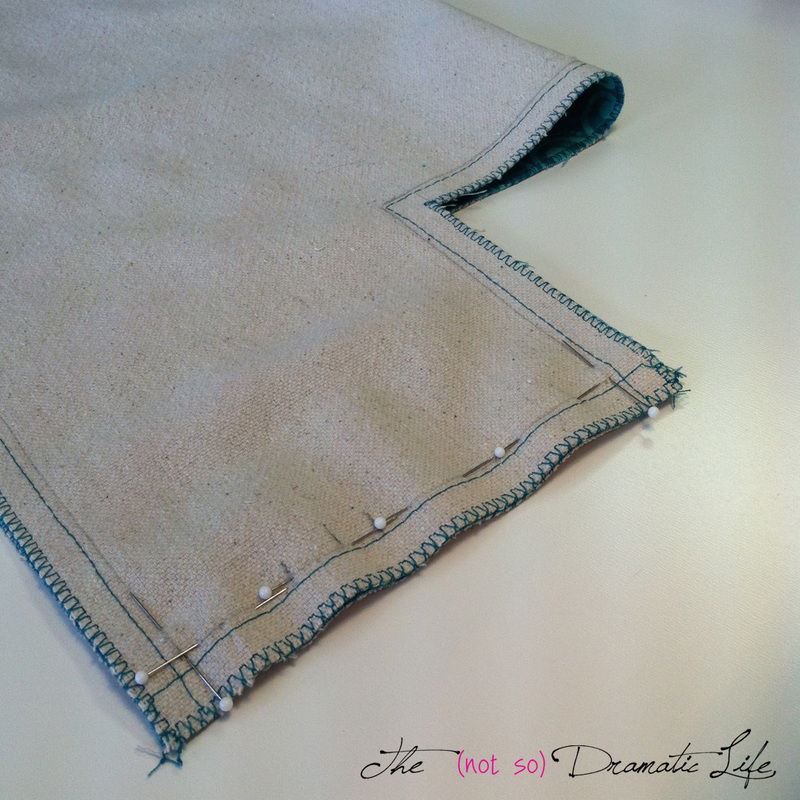 Cut the outer fabric along the cut edges of the canvas. Now do the same thing for the outer fabric of the bag bottom. Make sure you unfold the canvas piece first! For the pockets we will use a slightly different process. 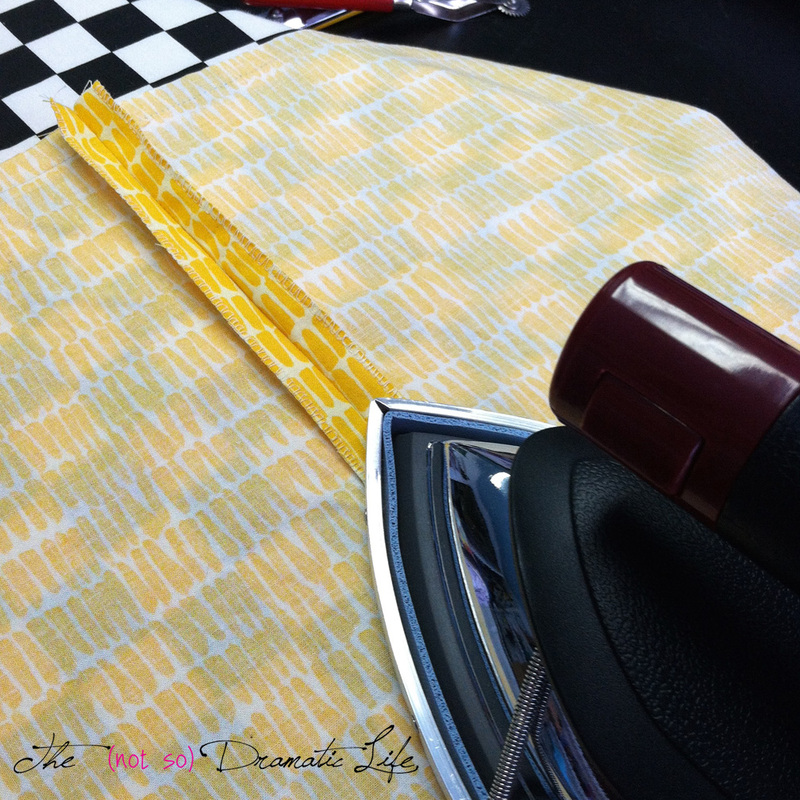 Take your chosen fabric to the ironing board and lay it out flat with the wrong side up. Place the interfacing pocket pieces you cut earlier on the fabric with the rough glue-y side down toward the wrong side of the fabric. 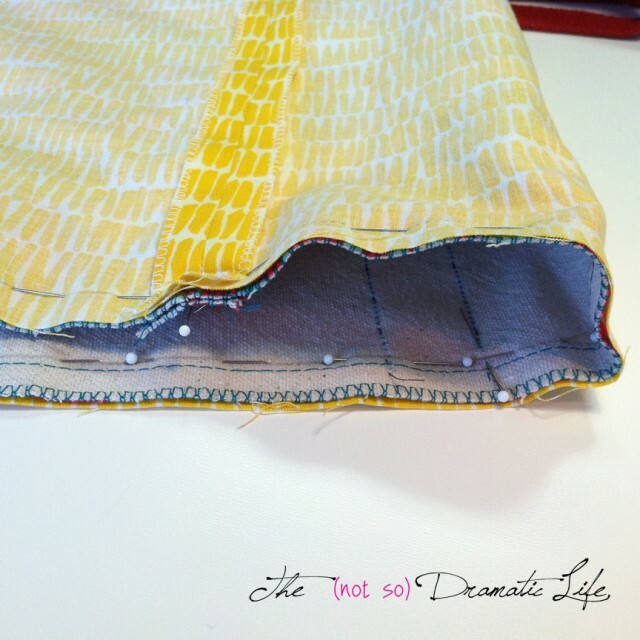 Try to smooth out any wrinkles in the interfacing as best you can without ironing (yet). 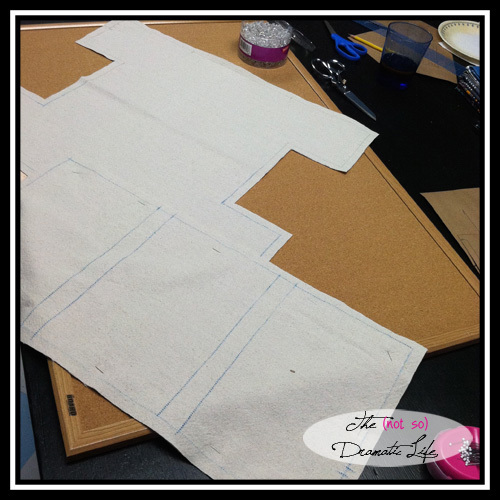 Try to place the pieces with the grain of the interfacing and fabric aligned. Make sure you leave a small gap between pieces to allow for additional seam allowance. Now press the interfacing to the fabric using the iron and following the manufacture’s directions. When using an iron-on interfacing you want to be sure you are raising the iron up and placing it down again as you work your way around the piece. Don’t try to glide the iron around- that is just asking for problems! Take your time with this step. As tempting as it is to rush the through this part, make sure you get every bit of the interfacing glue hot enough to really bond with your fabric. 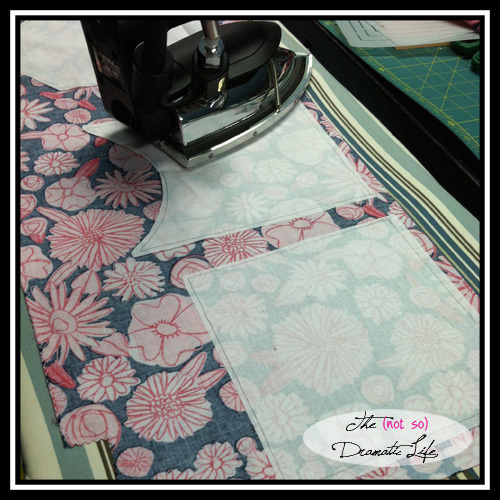 Once you have the interfacing in place, add 1/2″ of seam allowance to the fabric. 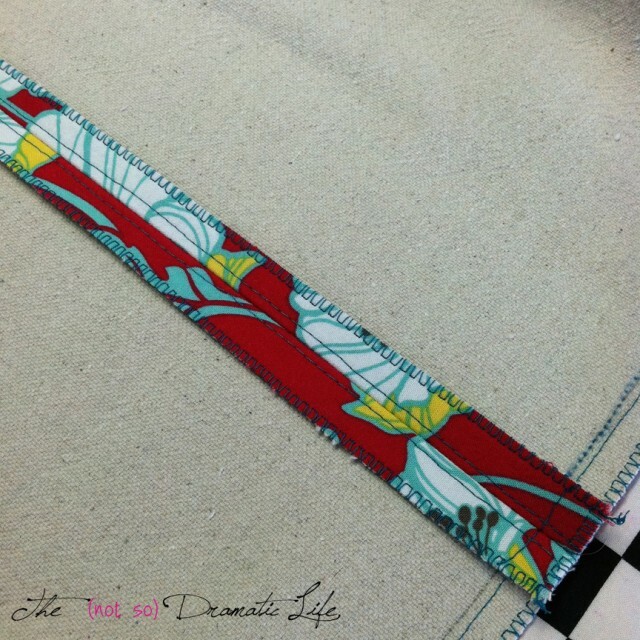 Measure the 1/2″ from the stitching line (not the interfacing cut line). Now cut on lines you drew. 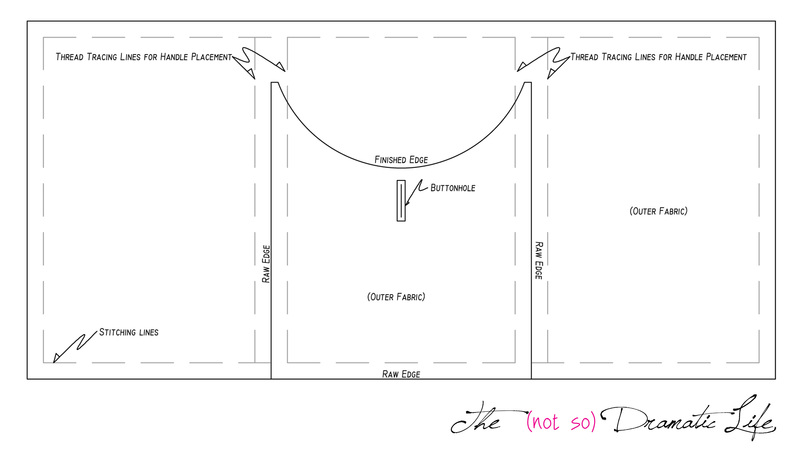 Note on curves: When adding seam allowance to a curve, make a series of short lines as you work around the curve. You can then smooth out the line either by drawing it it, or while cutting the piece out. You are almost there! The last piece to cut is the lining. Since the lining does not need additional structure, you will lay out your pattern pieces and draw both stitching and cutting lines directly on the wrong side of the lining fabric. Depending on the size of the pattern piece and the width of your fabric, you may be able to cut the lining with the fabric on the fold. As you can see in the picture below, I had a larger bag lining that I had to nest the lining pieces to make them fit. I also had a directional print, so I had to make sure that all of these cute little critters landed right side up! 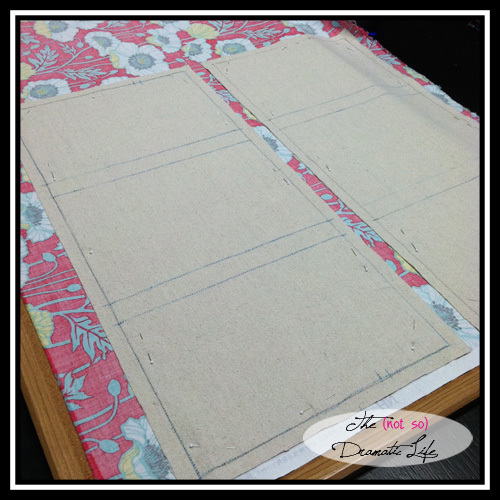 Once the large pieces are cut, cut out lining for the pocket pieces. Congratulations! The bag is cut out, and you are well on your way! Next week we will put this bag together! 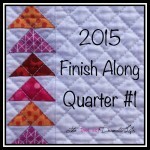 I am linking this post up to WIP Wednesday at Freshly Pieced. Please stop by to see the beautiful projects being created! Confession: I thoroughly enjoy the hardware store- especially when I can find materials to use in a non-traditional manner. One of the items I like to re-invent is the canvas drop cloth. Canvas is really useful in sewing and craft projects, but tends to be sort of expensive (for what it is) in the big-box craft stores. In the tote bag series I am currently writing, canvas is used to add strength to the project. 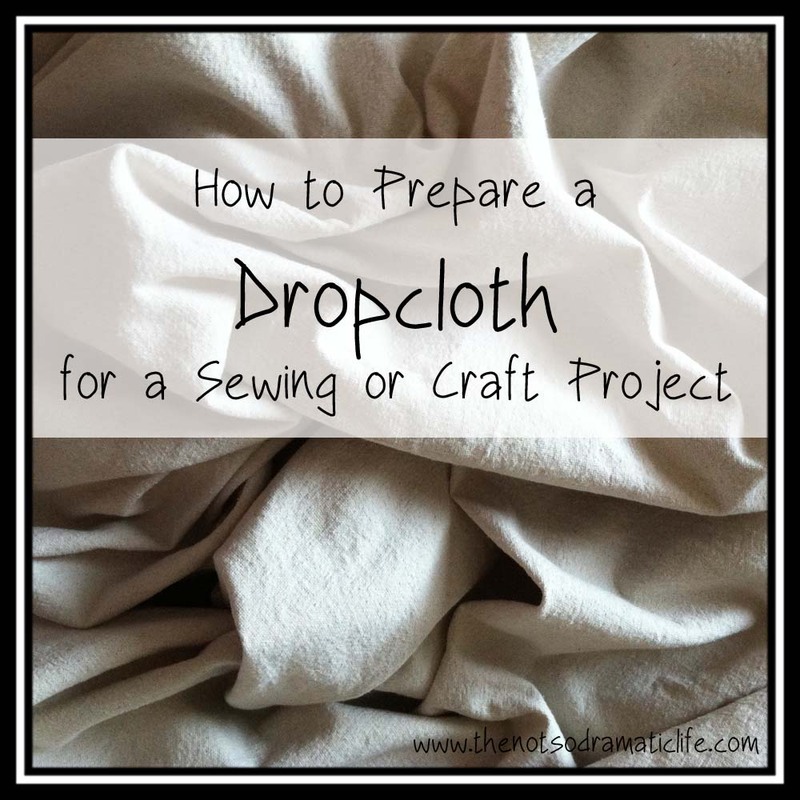 I thought I would share how I prepare a drop cloth for this type of project. 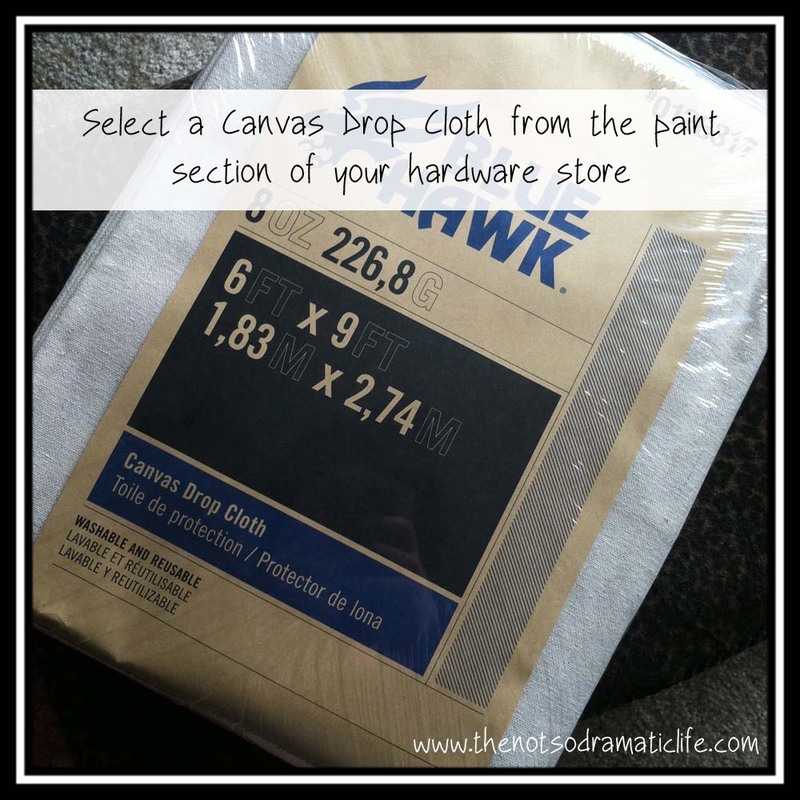 You will find canvas drop cloths in the paint section of most major hardware stores. I selected the 6’x9′ size because this size fits easily into a standard home washing machine and has no internal seams. The amount of canvas in this drop cloth is roughly equivalent to purchasing 5 to 5 and a half yards of canvas off of a bolt at the fabric store. My experience has been that a drop cloth costs about the same as 1 to 2 yards of plain canvas from the fabric store. 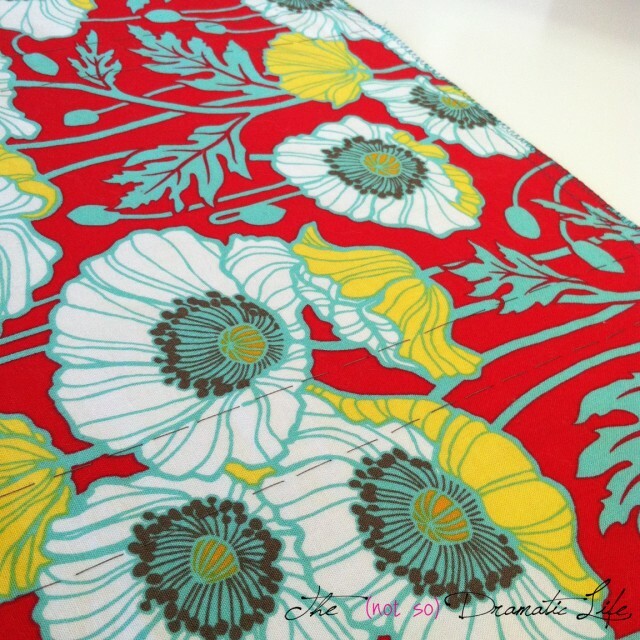 This is a good deal, especially for projects that you will never see this fabric. Take a look at the fiber content. You want something that is mostly cotton, but polyester is fine too. The thing you want to watch for in non-traditional sources is spandex- canvas is a no stretch zone! (Unless I change my mind for a specific project that I haven’t dreamed up yet) The good news is that a drop cloth should never have spandex, so you shouldn’t have to worry too much! 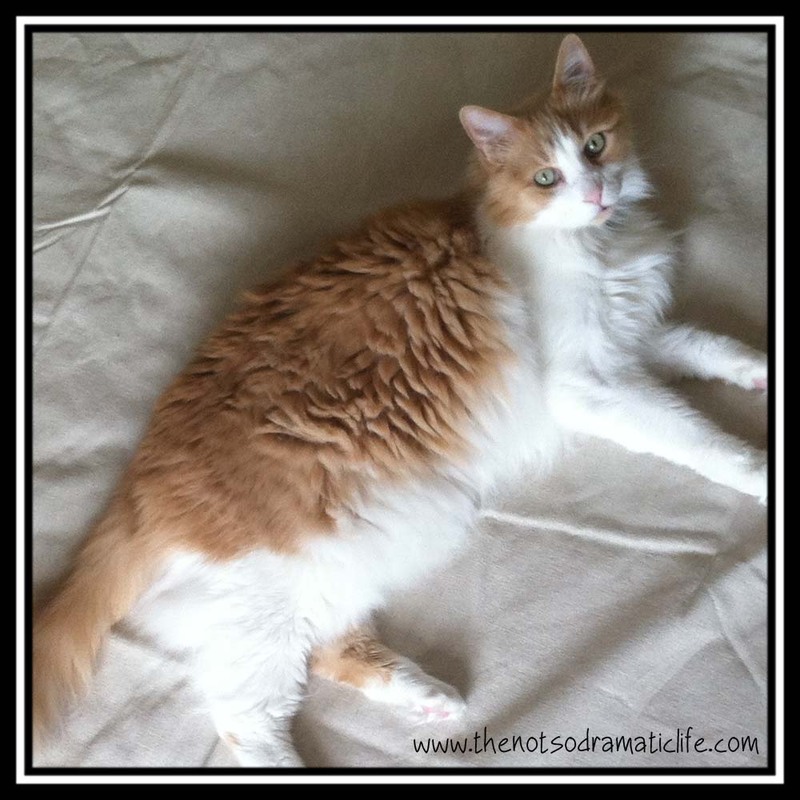 Optional Step: Ask your cat to move off of the drop cloth. This may take awhile. 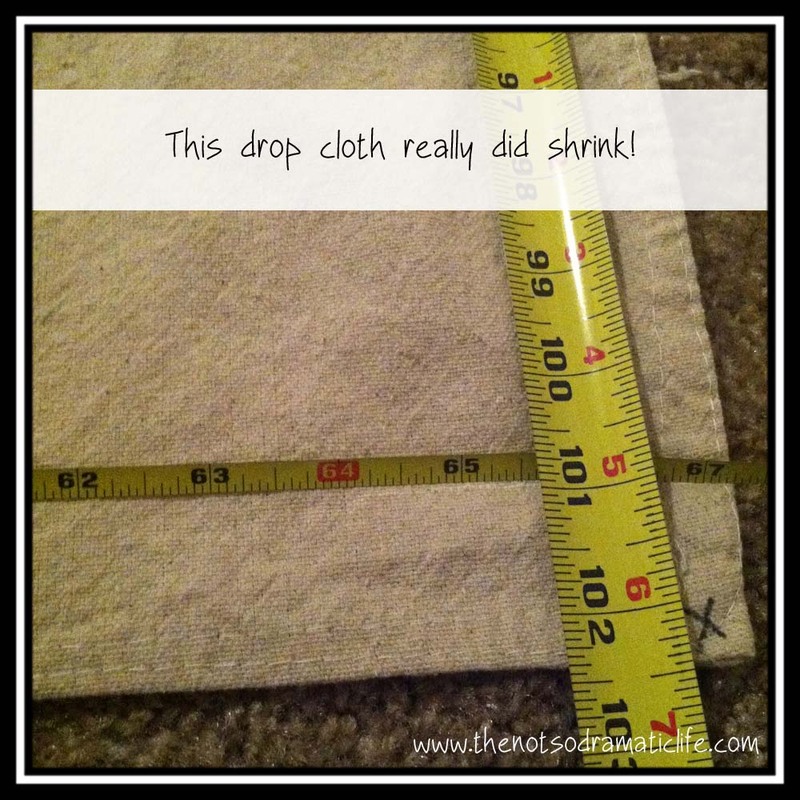 Once you have shrunk your drop cloth you are ready to get rid of those wonky hems on the edges. We are going to rip the edges to make sure that the final piece of fabric is on the grainline. Clip about 3/4″ into the drop cloth. 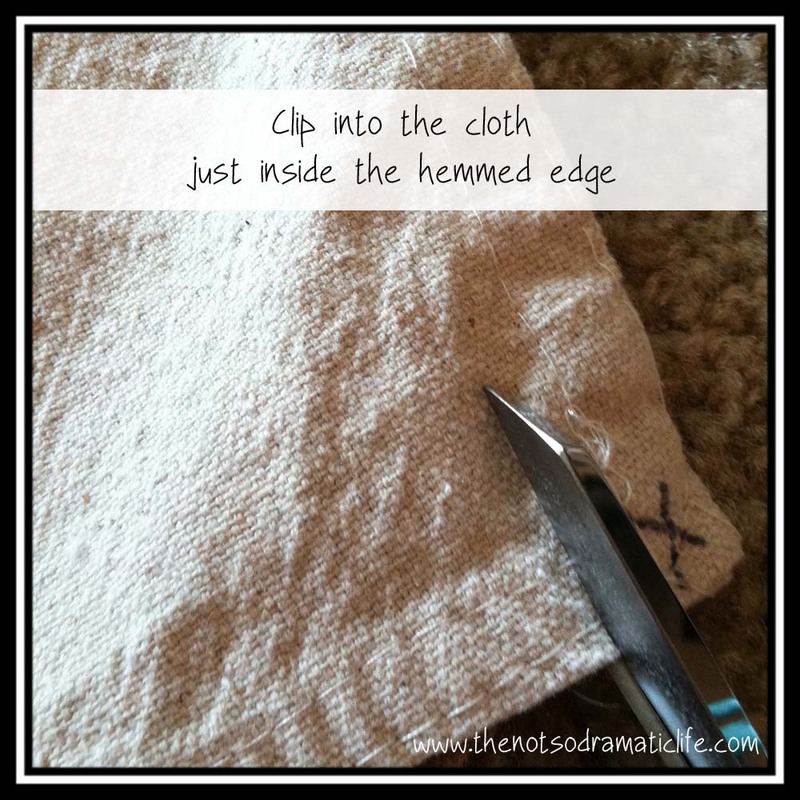 Make sure you cut through the hem perpendicular to the clip. The cut itself should be about 1 inch. Now rip the fabric, starting with the clip you just made. 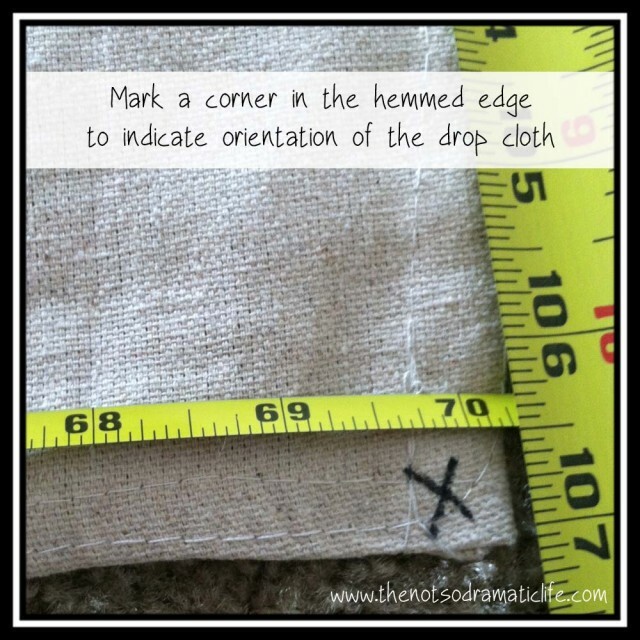 If the rip runs back into the hem, make another clip 1/2″ to 1″ further in on the edge of the cloth and rip again. Repeat the clipping and ripping process on all four sides. Now you are ready to go! I’m excited- Are you? 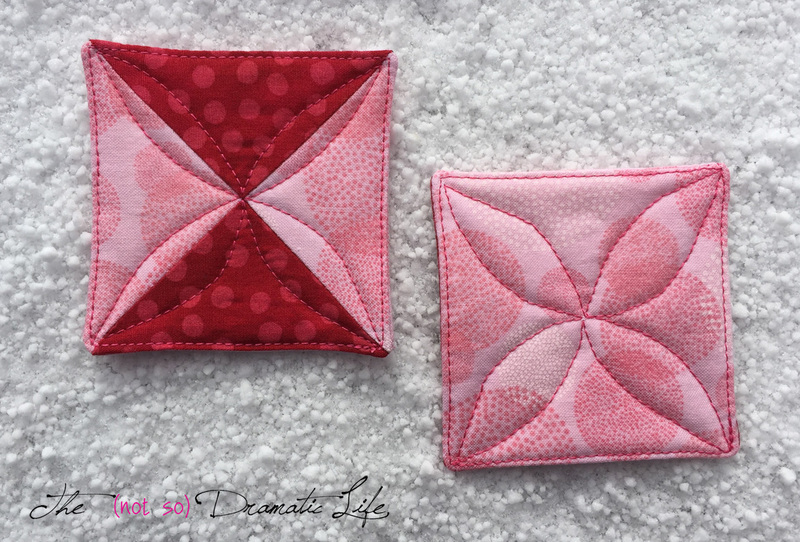 What could be more fun than a mini quilt? Eleven mini quilts! 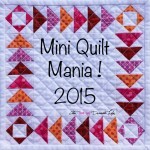 This week I decided to make the fun and games of Mini Quilt Mania into a real game! 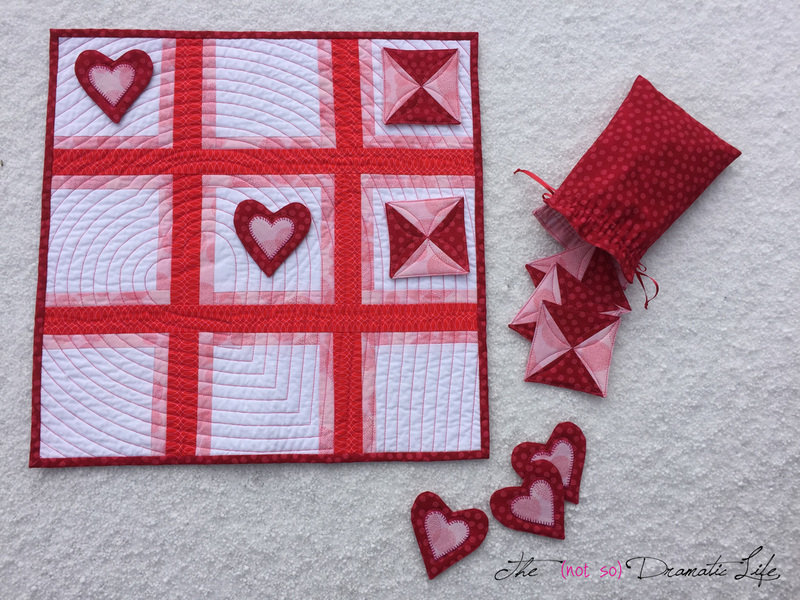 This mini is a quilted version of tic-tac-toe with a Valentine’s Day twist. 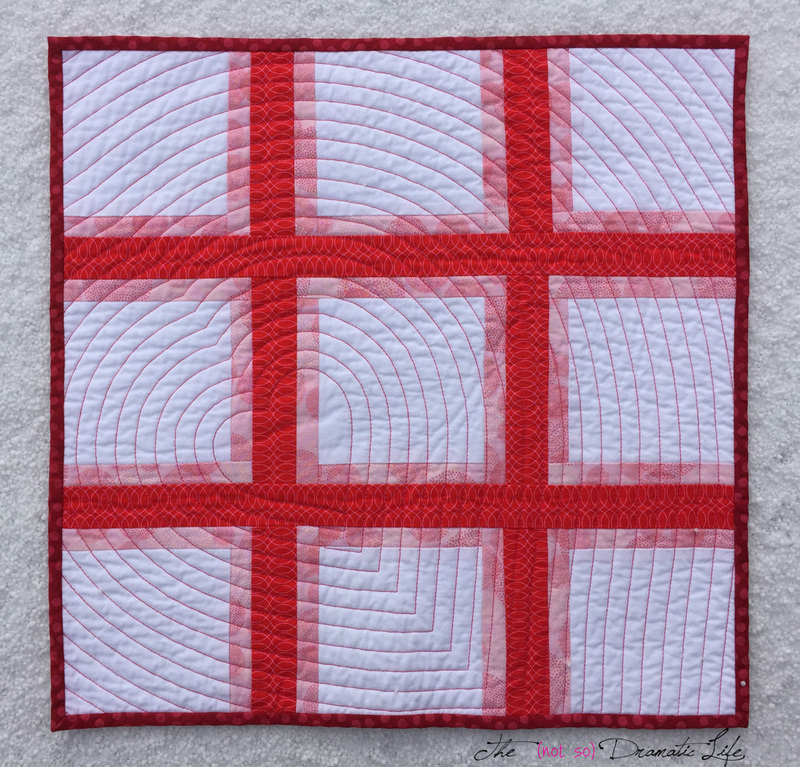 The game board section section of the set is comprised of a grid of red echoed with this fun pink print. 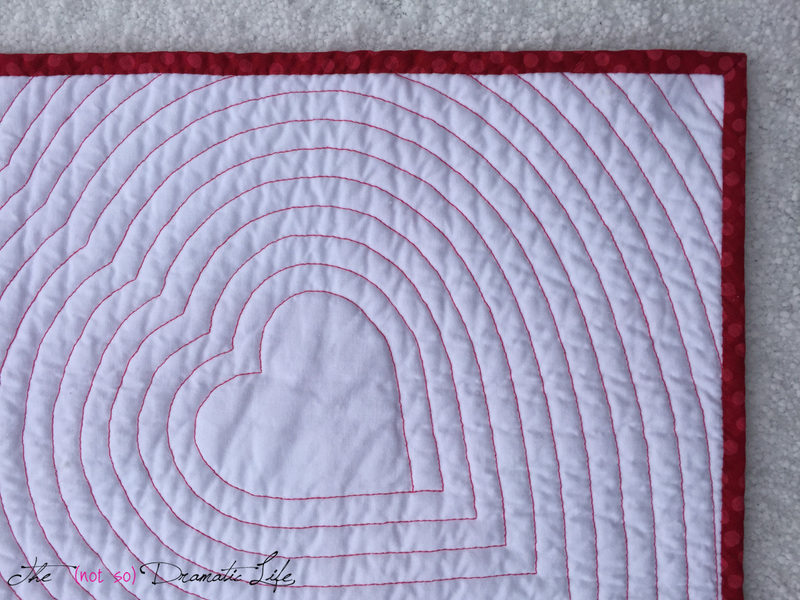 The background of white Kona Cotton really shows off the echoing heart spiral quilting. The backing of the quilt is also white Kona, which shows off the pink quilting thread. One quilt isn’t enough for this week, so I made ten more mini quilts to act as game pieces. The five X’s for this game are square blocks made from half-square-triangles that are paired with one another then stitched and cut again along the opposite diagonal. I replaced the standard O’s of the game with five heart shaped pieces. The inner hearts are fused using Wonder Under before being machine blanket stitched around the edges. All of the game pieces were “bagged out” (stitched together with right sides of the fabric facing one another and then turned right side out through a small opening in the stitching) with a piece of cotton batting. I had never tried this technique with batting before, and I was a bit concerned about the bulk around the edges of the pieces. Fortunately, a row of edge stitching around each piece allowed them to lay flat. The added bonus was that the edge stitching closed up the openings used to turn the pieces right side out. 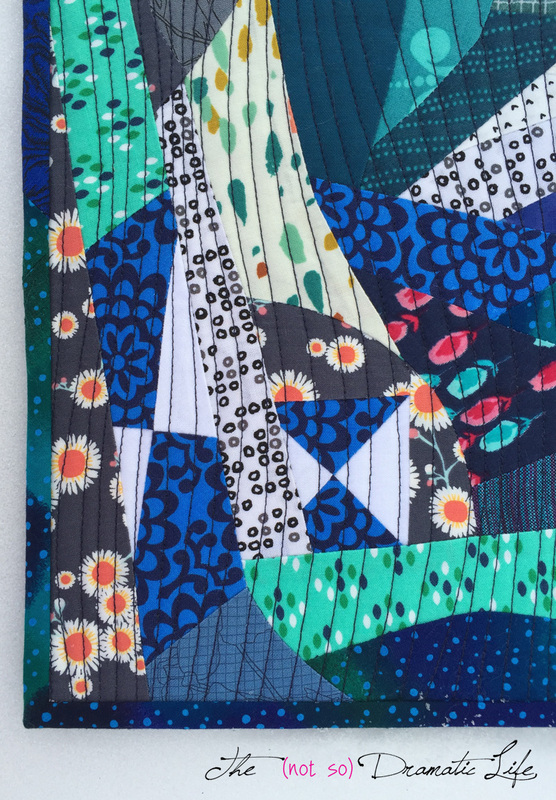 No hand slip stitching on this project! 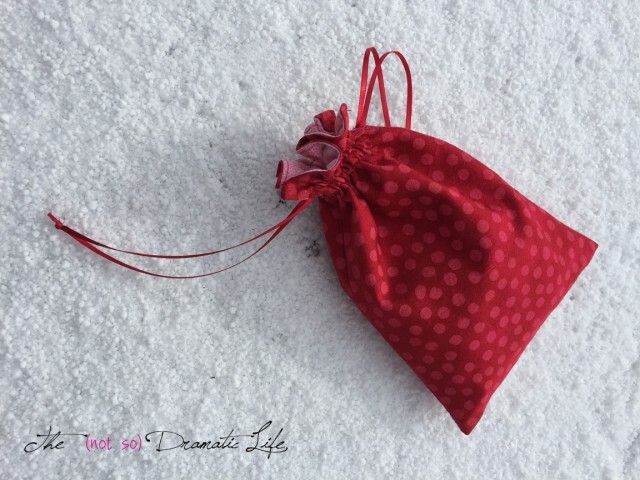 To keep the game pieces together, I whipped up a cute little drawstring bag in matching fabric. It is fully lined in the light pink cotton. Thread: Pieced using Gutermann Mara 100 in White and Magenta. Machine embroidery done with Mettler Cotton Machine quilting thread in Magenta. Quilted with Connecting Threads Essential Thread in Magenta. 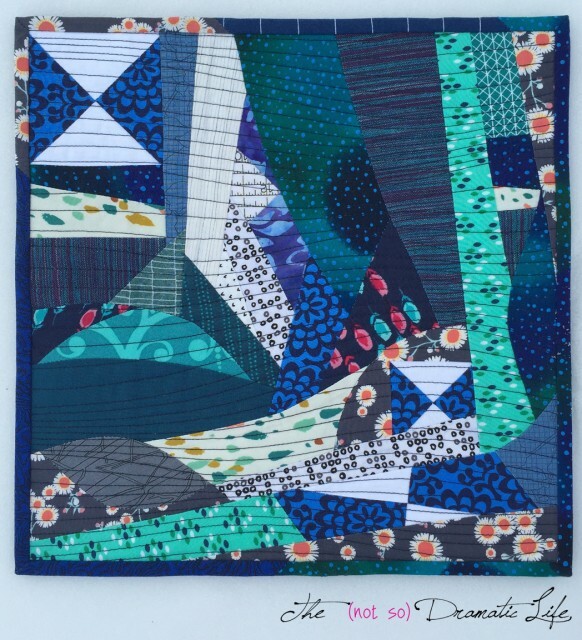 I am linking this quilt up with Finish It Up Friday at Crazy Mom Quilts, Whoop Whoop Friday at Confessions of a Fabric Addict, Sew Cute Tuesday at Blossom Heart Quilts, Let’s Bee Social at Sew Fresh Quilts, Needle and Thread Thursday at My Quilt Infatuation, and Show Off Saturday at Sew Can She. 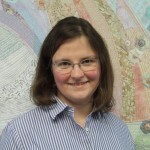 Please stop by to see everyone’s lovely work!